Bar Faucet comes in 5 colors. A bar or island faucet that is a perfect match to the Alta-S.
Minimalist in form, the simplicity and elegance of the ALTA is eye catching. 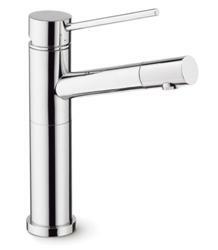 A bar or island faucet that is a perfect match to the Alta-S.